Timothy Dalton sings " Love Will Keep Us Together" to Mae West. That folks, is cinematic history. Keith Moon and Alice Cooper in the same movie with Regis Philbin .....wwwwhat!? Yes! 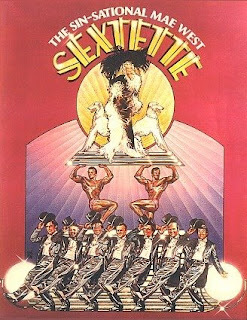 Put them all together with a few song and dance numbers and you've got 'Sextette'. From the play of the same name and written by Mae West. How can this not be a great movie...huh!? The WPFS presents this at the Arlington Cinema Drafthouse before our big move back to D.C.